In a busy supermarket in southern Tel Aviv, Bluts Iyassu Zeru unloads crates of fresh fruit and vegetables and carefully stacks the produce onto wooden display shelves. He works late into the evening on most days, and earns just barely enough to scrape by. Despite the long hours and low pay, life in Tel Aviv has afforded Iyassu Zeru a degree of freedom and personal agency that was universally unattainable back in his home country of Eritrea. When he fled to Israel seven years ago, seeking refuge from the oppression and human rights violations of the brutal dictatorship of Eritrean President Isaias Afwerki, his hopes were buoyed by the Jewish nation’s history as a haven for asylum seekers. Over the last few months, though, he has grown fearful that the security he’s found in his new home might soon come to an end as the Israeli government considers plans for mass deportations. Iyassu Zeru is one of thousands of African migrants living in Israel illegally who have been at the center of national debate since the beginning of the year, when the government declared that all “infiltrators” must leave the country by March 31 or face imprisonment. Though the highest Israeli court halted the deportation plan in mid-March after human rights organizations widely criticized it, the Israeli government has remained unwavering in its push to force the African migrant population out. 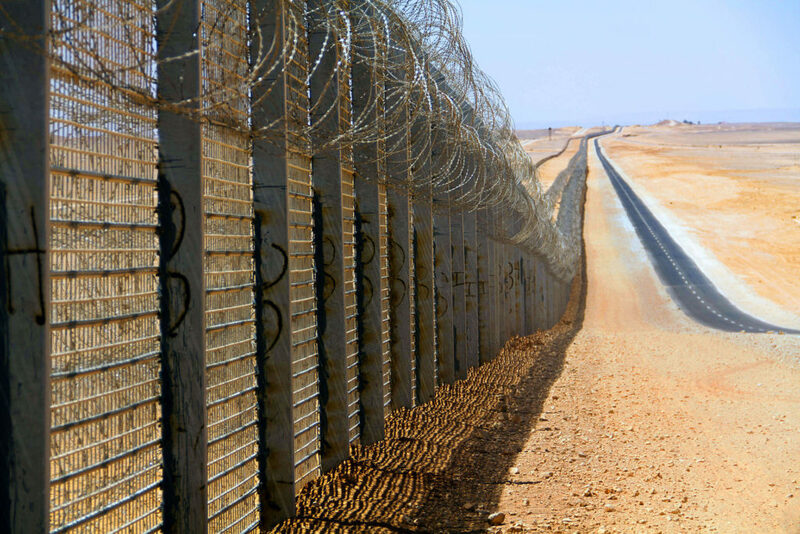 An estimated 38,000 African migrants have crossed into Israel through Egypt’s Sinai desert in the last 5-10 years, fleeing political persecution and ongoing conflict in their home countries. The vast majority of these migrants came from Eritrea and Sudan, and arrived before 2013, when the Israeli government completed construction of a 152-mile border fence to stop the flow of illegal immigrants. Israeli officials argue the migrants are not “genuine” refugees and say that they’re crossing the border solely for employment opportunities. Prime Minister Benjamin Netanyahu has also stated that the influx of migrants could potentially “threaten Israel’s Jewish character, continually referring to African asylum-seekers as ‘inflitrators.’ ” Because Israel refuses to grant the refugees’ asylum requests, the majority has been living in limbo and constant fear of deportation since the order was first announced in January. When Netanyahu made his deportation plan public, the prime minister gave migrants three options: return to their home countries, take a cash sum of $3,500, plus paid airfare, and relocate to an unspecified third country (later determined to be Rwanda or Uganda), or remain in Israel and face imprisonment at the Holot detention center. Netanyahu’s actions sparked outrage from human rights and migrants groups, who petitioned the highest Israeli court to suspend the proposal. After Rwanda reportedly backed out of the deal, the plan fell through entirely. “Crossing the border to Israel through the desert, you are risking your life,” Iyassu Zeru said. 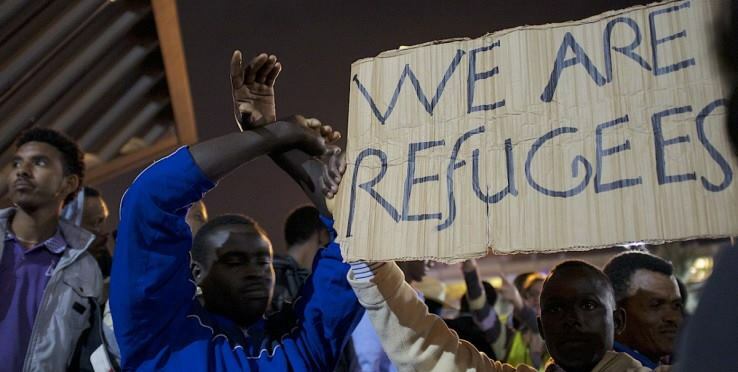 On April 3, after weeks of discussion, the UN High Commissioner for Refugees negotiated an alternative deal with Netanyahu to resettle about half of Israel’s African refugee population in Western countries that included Canada, Germany, and Italy. Under the UN plan, 16,500 migrants would be relocated to the host countries over a five-year period; and for each migrant who received citizenship in a new country, Israel agreed to grant asylum to a migrant living within its own borders. 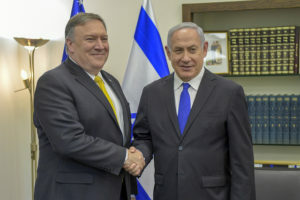 But Netanyahu changed his mind just a day after accepting the deal, and backed out, citing criticism from Israeli citizens who insisted that the government take action to remove the population and deny permanent citizenship. In recent weeks, Netanyahu has sent a special envoy to Uganda to negotiate for the country’s acceptance of African migrants, and has also reportedly resumed talks with the UN, though there is no indication that a revised deal will be reached any time soon. 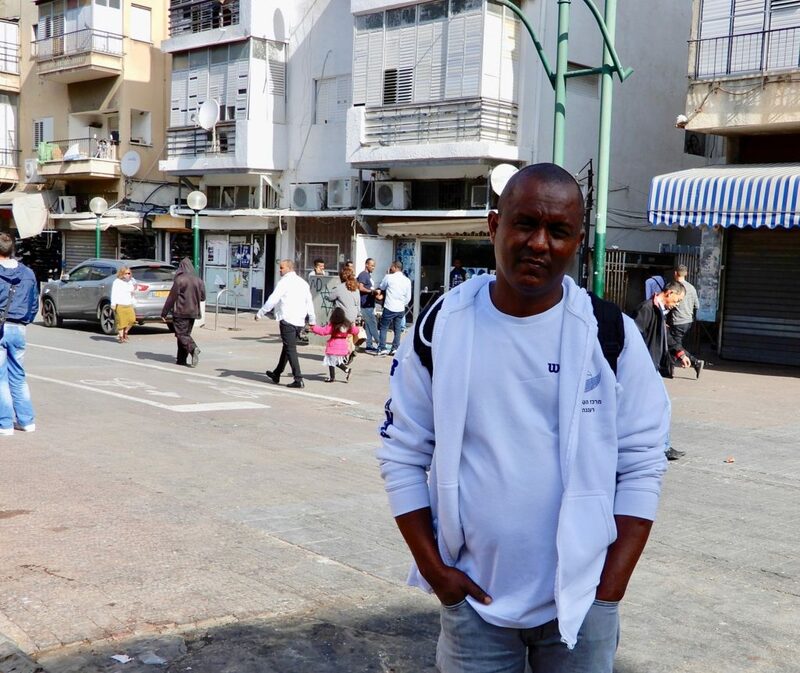 As he waits for news from the government, Iyassu Zeru devotes his time outside of the supermarket to organizing meetings within Tel Aviv’s Eritrean community. He serves as the Israel chair of Eritreans United for Justice, a political movement that’s fighting to end the dictatorship of Eritrean President Isaias Afwerki and bring stability to the small East African nation, which has been condemned by the UN Human Rights Council for a multitude of human rights violations. Like thousands of other Eritreans, Iyassu Zeru fled the country to escape the national service. In 2006, he was working as a high school teacher in the Eritrean capital, Asmara, when he was forced into national service in a position teaching at a military institution called SAWA. After three years, unhappy in the job, making very little money, and fearful he would remain in the service the rest of his life, Iyassu Zeru determined that leaving the country was his only way out. With two other teachers, he escaped the military facility one night and began the trek to the Sudanese border. After they encountered a political official near the border, one of the teachers was captured and sent back to an underground prison at SAWA; Iyassu Zeru and the other man were able to run away, eventually crossing into Sudan. Once there, Iyassu Zeru spent three months in Sennar and another six months in Khartoum. But he failed to find the sense of security he had hoped for in Sudan. Eritrean government officials regularly entered Sudan to retrieve citizens who had fled, forcing them back into national service. He planned to cross into Libya and then Europe, but was worried that the money he’d saved wouldn’t be enough to complete the trip. After hearing other Eritrean immigrants discussing Israel, he eventually set his sights on Tel Aviv, and in June 2010 paid smugglers to bring him from Kassala through Egypt and across the Sinai Peninsula. He remembers crossing Egypt as the worst part of the journey. At that point traveling in a group of 36 other migrants, many of them women and children, Iyassu Zeru walked through the night, as the mothers held their children and begged them not to cry. Egyptian soldiers were quick to shoot in the direction of sounds in the darkness. “You had to keep absolute silence through the night. Everyone is full of fear, some are crying, some are shouting. The Egyptian soldiers, if they hear a sound, they shoot immediately toward you.” During the trip through Egypt, two women in the group Iyassu Zeru was traveling were shot by soldiers and died, he said. Later, a third woman was raped and then abducted by soldiers, leaving behind her seven-year-old son. Iyassu Zeru remains optimistic about his future in Israel, but is prepared for the worst. Earlier this year, his brother-in-law, who is also an Eritrean immigrant, decided to accept the government’s offer of $3,500 plus airfare to leave Israel and resettle in a third, unspecified country. He was taken to Rwanda, but upon his arrival, he was informed that he didn’t have legal permission to live in the country. “I don’t understand how the government of Israel is allowing this to happen,” Iyassu Zeru said. When they finally reached Israel, Iyassu Zeru was exhausted. Israeli soldiers at the border took them by car to a camp, where they were given food and water. After a month, the refugees were told to leave and given one-way tickets to Tel Aviv. Though he didn’t have a place to live, he landed a job washing dishes, realizing in that moment that for the first time in years, he had the freedom to decide where he would work. He later took a job in a restaurant making pizzas, and then worked in a toy store. Iyassu Zeru was enjoying his new life in Israel, but as the government began a crackdown on immigration in 2013 with the completion of the border fence, the reality that he was living in the country illegally set in. In September 2015, he was sent to Holot, the detention center in the Negev Desert used by the Israeli government to hold thousands of African migrants who had entered the country illegally. He spent a year in Holot, and when he was released in October 2016, iyassu Zeru returned to Tel Aviv. As the deportation debate continues to divide Israel, Iyassu Zeru hopes the country might allow migrants to stay. “I think what the government needs to do is disperse all the migrants across different states. That way we are not all living right here in Tel Aviv,” he said. The African immigrant population is heavily concentrated in Tel Aviv, and supporters of the deportation plan have complained that the influx has driven up crime rates in the city. Iyassu Zeru remains optimistic about his future in Israel, but is prepared for the worst. Earlier this year, his brother-in-law, who is also an Eritrean immigrant, decided to accept the government’s offer of $3,500 plus airfare to leave Israel and resettle in a third, unspecified country. He was taken to Rwanda, but upon his arrival, he was informed that he didn’t have legal permission to live in the country. The brother-in-law was then dropped in Uganda, with no money and no place to live. 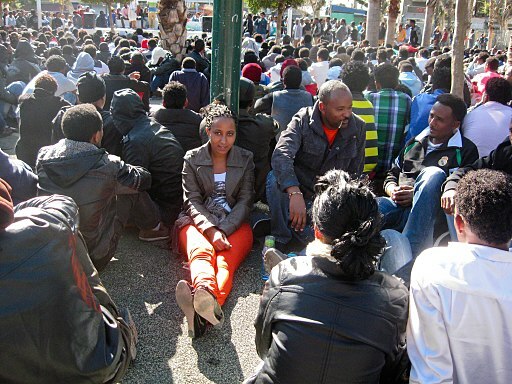 According to the Aid Organization for Refugees and Asylum Seekers in Israel, since the immigration influx began, only 12 Eritreans have been granted asylum in Israel, out of a total of more than 10,000 applicants. Of more than 8,000 asylum requests from Sudanese migrants, just seven have been granted. Since 2009, the Israeli government government solely determined who gets asylum. Prior to 2009, the UN handled the asylum process. A 2014 report from Human Rights Watch condemned Israel’s handling of asylum seekers and accused the government of employing tactics to force the migrant population out. “These include indefinite detention, obstacles to accessing Israel’s asylum system, the rejection of 99.9 percent of Eritrean and Sudanese asylum claims, ambiguous policies on being allowed to work, and severely restricted access to healthcare,” the report stated. 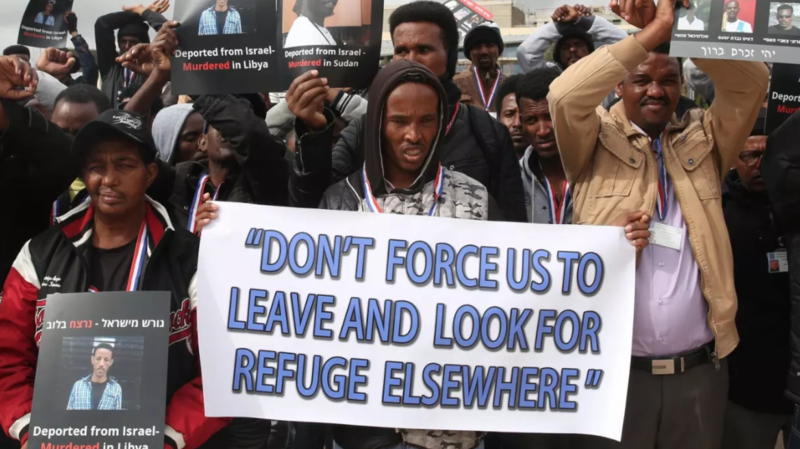 And in Tel Aviv, a group of rabbis have started a campaign called Miklat Israel to encourage Israelis to open their homes to African migrants should the situation reach that point and deportations begin. The group has created an online spreadsheet, where people can sign up to host migrants. But for now, all that refugees living in Israel illegally can do is wait anxiously for the government to reach a decision on their fate.